Anyone else doing last minute shopping like me? I did manage to find time to sneak in some craft time. 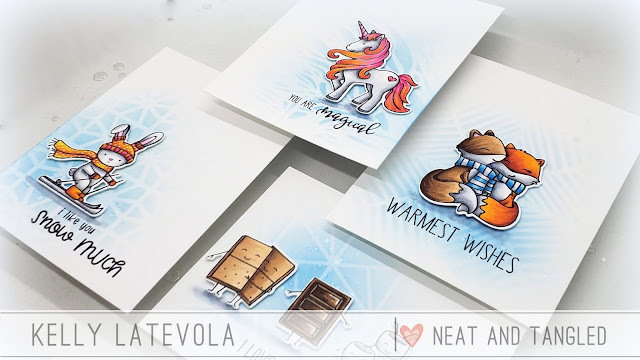 I made a fun card set using several stencils and 3x4 stamp sets. 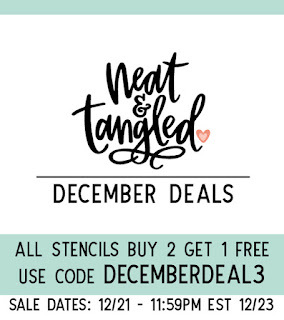 Speaking of stencils I just wanted to remind you guys that our current December deal is in fact stencils! 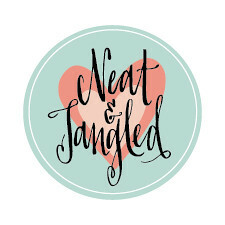 You can shop all our stencils here. 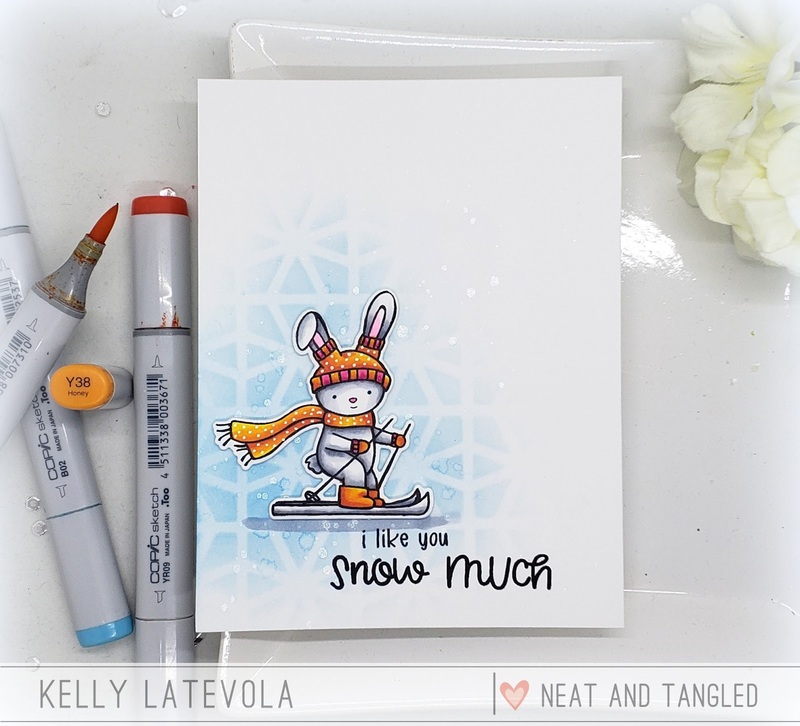 I started by pairing my stencils with my stamps based on what I thought made sense. The Rice Paddies went withe Unicorn because it looks like wind. 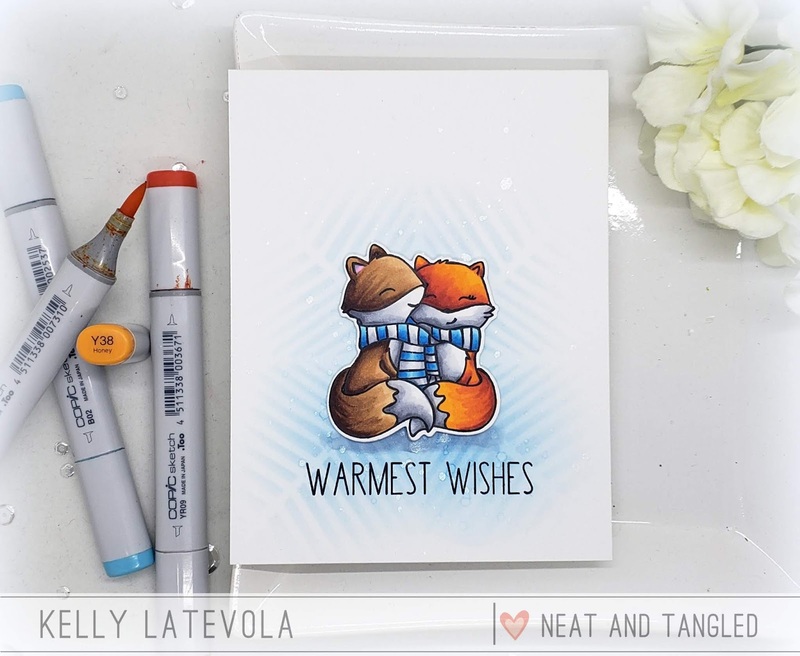 The Radiating Star seemed perfect to put my snuggling foxes in the center. I chose to use the same Salty Ocean distress ink for each card to tie in each card to the set. The Geometric circles seemed to mimic snowflakes to me so it went with my Bunny. 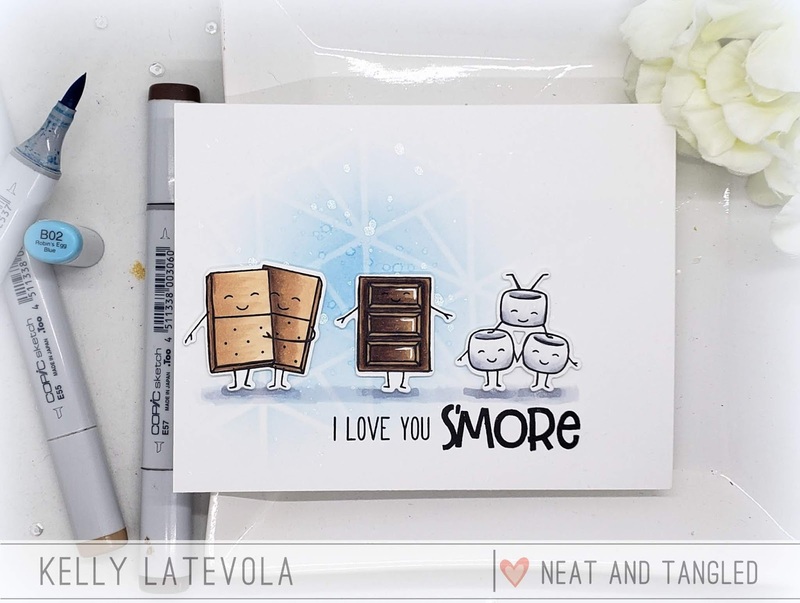 Last I knew the S'more card would have more elements than the others so I chose a more open stencil. 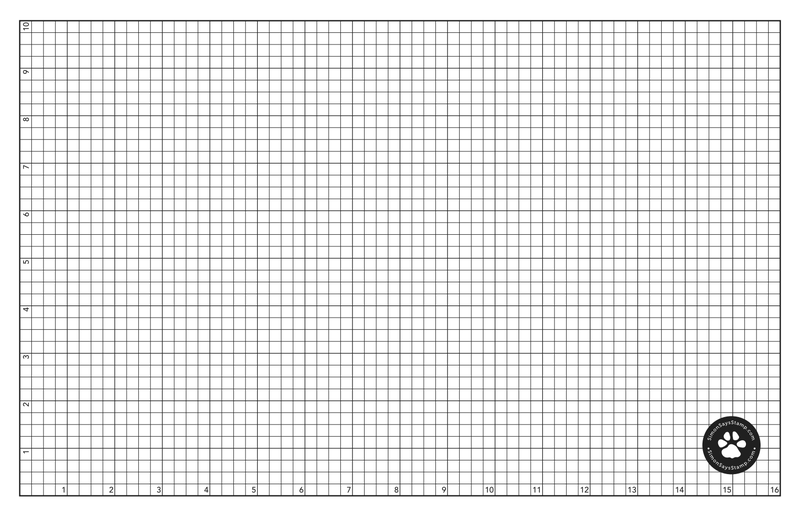 This makes the pattern more subtle perfect for making sure my card didn't look too busy. You can check out the backgrounds and copic coloring in the video below. I think they all came out adorable. I love how the bright orange and pink POP off that subtle blue backgrounds. Using only part of the stencil really appeals to my love of clean and simple designs. I wanted to give you a look at of each of the cards individually in case there was something specific you wanted to check out. I did add a shadow under each of the stamped elements with the same cool grays to help ground them. The little girl in me just adores this one. 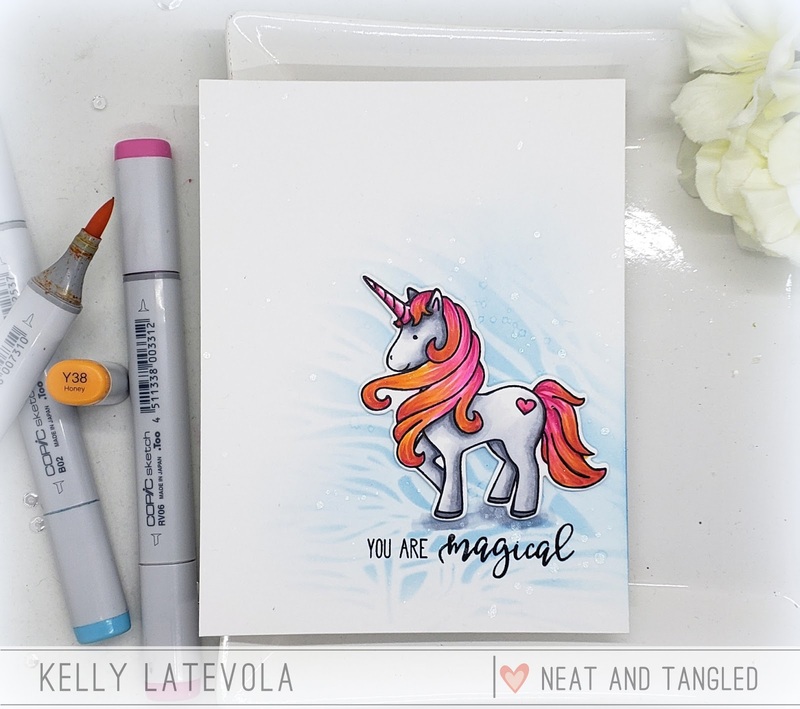 Unicorns are always a little bit magical don't you think? These are just great. Too hard to pick a favourite! And they make a fabulous set all put together like this. How awesome! 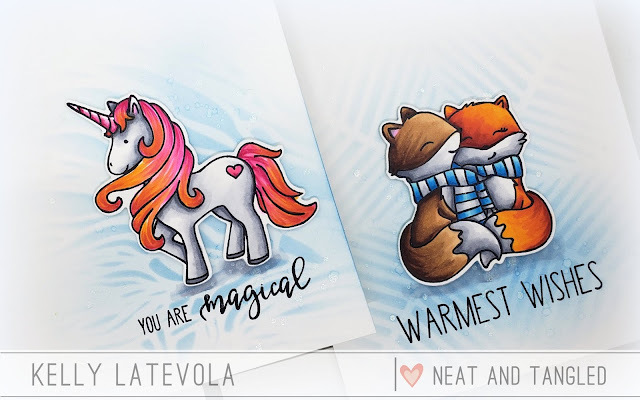 Wonderful set of cards !! I loved the subtle stenciled background and cute images on it.